If there was one question our DJs hear more than: "What does this knob do? ", and "When are you gonna play my song? ", it would be "Are you guys hiring?" The enthusiastic answer to that is ALWAYS, an emphatic"YES!" Encore Events is always on the hunt for talented people that have unique skill sets and can add value for our customers. The better question than "Are You Hiring?" is "Who are You and What Do You Want To Do?" Look at the examples below and see how you might fit it at our team and what you can expect from working with us. We understand! Being a DJ is an awesome job, we're not gonna lie. It's exciting and, frankly pretty lucrative. At one point, every DJ was someone who just wanted a chance. Encore wants to give you that chance. Just a little or no experience? No problem. Become an Encore DJ Assistant. Our DJ Assistants get an incredible amount of paid training. You will learn to become the heart and soul of the technical and support arm of our business while being trained in the skills to be a Headlining DJ. The pay isn't bad and the experience and training is invaluable. Contact us today and lets get you on the road to your dream of being a DJ. Sometimes, what Encore does looks like magic. Frankly, we like our clients to think that! In reality the magic is created by our insanely talented crew of Event Techs and Tech Leads. Are you the kind of person who is your family’s designated technology guru?” Do friends rely on you to be the brain behind a project? Are you a sorcerer of the mystical technological arts? Then Encore needs you! We will train you to be on the team who transforms event spaces from ordinary to incredible. Our Event Techs and Tech Leads are the first to arrive at an event space to work their magic and ride off in to the sunset with the satisfaction of having created something amazing. Encore Events is always excited to talk to talented DJs. Is the company you work for now not treating you well? Not getting enough work? Not getting paid enough? Sick of the hassle of doing it on your own? Looking for a better place to showcase your talents than some sticky "club"? You aren't alone. We are confident that we are paying an industry leading wage for our DJs. We have an incredible office staff and production team that makes your life easy so you can focus on what you do best...DJing. Sound too good to be true? Before you sign on for another season of what you are doing now, meet with us and we will prove it. You can expect that newly hired, existing DJs (yes, even the incredibly talented ones) will spend some time training with us, to learn the "Encore Way. "...but the training time is self-motivated. The more you dig in, the faster you will take the spotlight. Let's talk about a DJ career...not just a "side-gig". OK, so you don't dream of being a DJ, but a well-paid, part-time, job working at parties sounds like a good fit for you? Encore has you covered. Come be an Encore Event Assistant. It will always be interesting. 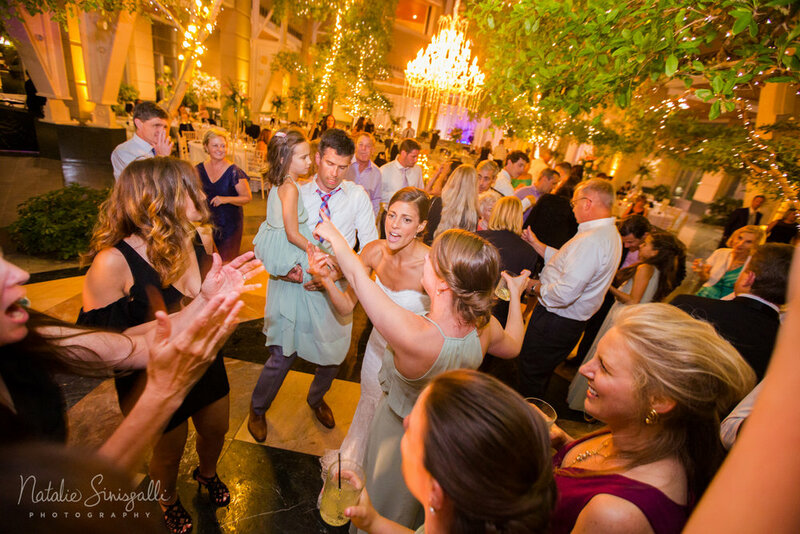 One week you may be running a photo booth at a corporate gala, the next working backstage at an Entercom Radio concert (Summer Jam, Guitars and Stars), and still next you may be assisting our Event Planning & Design Team at a million-dollar Dream Wedding. This is an incredibly flexible, super-fun, part-time job. It is perfect for anyone who is thinking about exploring event planning in their future, or hey, just wants to be paid to be at high-end parties. We think that could be you! Need to do an internship, and would rather not do it someplace lame? Look no further. We have created amazing internships for many local High Schools and Universities.. We know how to talk to your advisor and we will mentor you through an incredibly rewarding experience. Many of our interns stick around for employment long after their program ends. Why, well its awesome here. SIGN UP FOR OUR HIRING FAIR ON APRIL 20TH! Think you'd be a good fit? Let's meet up and find out! Register below for our upcoming Hiring Fair! Thank you! Our Management Staff Will Reach Out To You Shortly!